Strategic Affairs Minister Yuval Steinitz, intelligence and security officials to participate in bi-annual strategic dialogue with US. A senior Israeli delegation was on its way to Washington Sunday for updates on talks between the major powers and Iran over its nuclear program, which resumed in Geneva on Tuesday. Strategic Affairs Minister Yuval Steinitz and a team of officials from intelligence services and the foreign and defense ministries were to participate in the bi-annual strategic dialogue, a statement from Steinitz's office said. "This year the dialogue will focus on the nuclear talks with Iran and other regional issues," it said of the meetings, which are the "central forum" for deepening bilateral cooperation and coordination between the US and Israel over issues in the region. 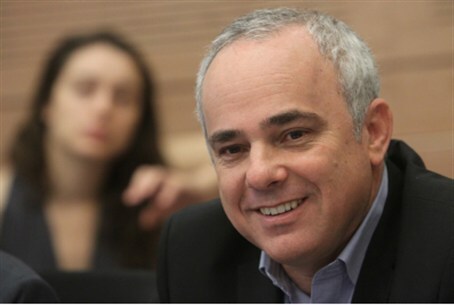 A spokesman for Steinitz said the minister will make a stop in Canada for talks with senior officials there on Monday before heading to the United States. Ahead of the visit, a senior Israeli official was briefed by the US and also by a British delegation to the Iran talks, which flew in to update the Israelis, the Haaretz newspaper reported. French and German officials also briefed their Israeli counterparts by phone on the substance of the Geneva talks, the paper said. Netanyahu is also due to meet US Secretary of State John Kerry this week in Rome for updates on the P5+1 talks as well as peace negotiations with the Palestinians, the State Department has said. Israel has repeatedly threatened to take unilateral action if necessary to keep Iran from developing the capability to build a bomb of its own.